Since 1996, the Civil War Trust has sponsored Park Day, an annual hands-on preservation event to help Civil War, Revolutionary War, and War of 1812 battlefields and historic sites take on maintenance projects large and small. This year on April 7 New Bern’s Battlefield Park will join in this national event. While our beautiful park reflects the work of many volunteers from Battlefield Guides clearing trails, to Boy Scouts building observation platforms to Marines building bridges, there is always much to be done. Jon Miller, Battlefield Manager hopes volunteers will help clear out the original Civil War fighting positions and do some general spring cleaning. “While we expect this to be a work day, we also expect it to be a fun day,” he said. The first 45 volunteers will receive a T-shirt commemorating the day. Hot dogs and drinks will be provided by Event Sponsor Gibbs Dentistry. Volunteers are asked to arrive at the park at 10 a.m. The day will begin with a short tour of the battlefield before working. Bring work gloves and a rake if you can; a limited number of gloves will be available. Wear sturdy shoes and clothing appropriate for weather forecast. New Bern Battlefield Park is located at the entrance to the Taberna subdivision off U.S. 70 at 300 Battlefield Trail, New Bern. Everyone is welcome. Individuals or groups can volunteer. 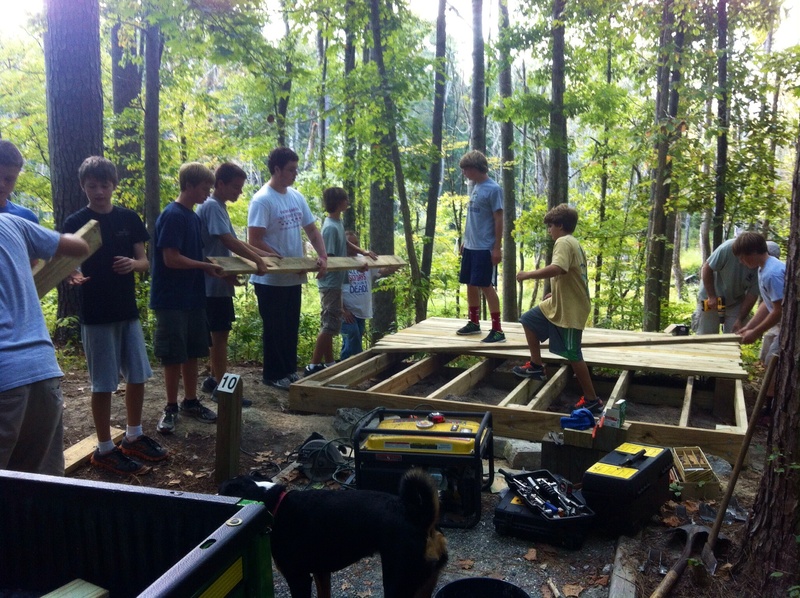 Scout groups, church groups, school groups and clubs have all helped out at the park in the past. The Historical Society owns and maintains the park, and encourages everyone to come out and enjoy the day. The park recently expanded the history walk with a $250,000 upgrade to trails and interpretive signage. The gateway plaza was added featuring a 20 foot in-ground concrete map displaying the battle area and noting the locations and actions of all the units that took part in the Battle of New Bern. All of this was done by private funds. The park is open to the public from sunrise to sunset. The New Bern Historical Society celebrates and promotes New Bern and its heritage through events and education. Offices are located in the historic Attmore Oliver House at 511 Broad St. in New Bern. For more information, call 252-638-8558 or go its website or Facebook page.